For me and most long distance voyagers the dream is really all about living aboard and cruising, with the ultimate goal of staying out longer. and maintained, that's about all that matters. common is a fierce love of freedom, a great respect for Mother Nature and each other. boater. Not from the age or price of their vessel. gone the farthesta. They are also the ones having the most fun, and that's really what this is all about. resources for maintaining your boat, maintaining yourself, and for any possible emergencies that might arise. cruising is NOT a cheap alternative or a viable solution to escaping bad credit, debt, or a bad financial situation. It simply won't work. routine maintenance, even living on a fully paid for vessel and going no where, will most likely cost more than a decent small Apartment. week or two or more in a Motel - just saying! Nothing beats a fresh caught Walleye or bring a dish shore-lunch or dinner with other Loopers. Some of these Loopers are cruising in $300,000 plus vessels. Some are cruising in $13,000 or less vessels. Some are paying over $30,000 (or more) for fuel & marina expenses. Some are paying $12,000 (or less) for fuel & marina expenses. The point is. . . We are all found in the same places, having the same amount of fun! It is not important to anyone but you, how big or small, new or old your boat is! A long-distance cruising vessel must be extremely economical for cruising if one wants to maximize their freedom & comfort. that is, for your complete freedom, comfort, fun and enjoyment. this as being the #1 expense item on their overall total cost of cruising the Loop. It certainly is mine! more fuel efficient vessel, so I can spend the bulk of my money doing the things that make me a happy camper (Looper). spend $25,000 in fuel alone and another $25,000 to stay most every night in a marina. That's what we want to call your attention to. It's not that one is right and one is wrong, it is simply a matter of how you want and chose to spend your money. complete freedom to choose what we want to do and where we want to go all along the way. And that's the whole point. . .
with tempting places and destinations where you will want to stop, shop, stay and linger. . . And of course, spend money. So, be prepared! control the price of fuel, we can control how much we need by selecting a fuel efficient vessel. your happiness and enjoyment on this voyage. street. Many of those ashore wish they were on your boat. Many of us on our boats are going to be tempted to join those ashore. 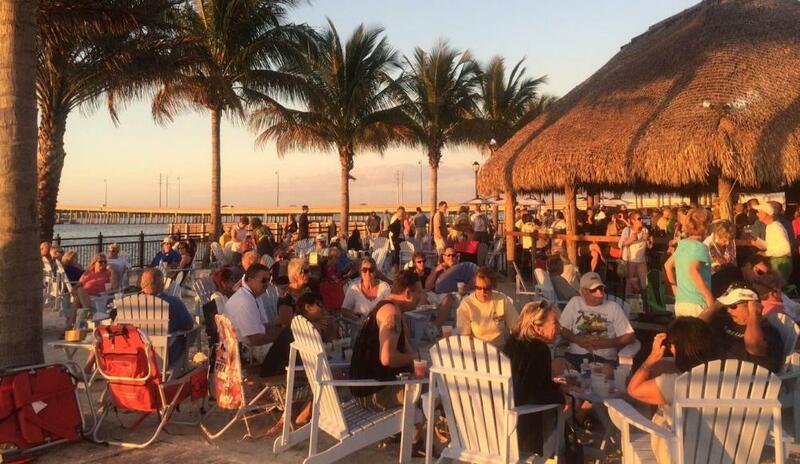 wonderful waterfront restaurants and Tiki Bars. We are cruising by incredible destinations. Most of which will tempt you off your boat. cases) than the Looper originally paid for it. Most likely, some improvements were made to the boat. Still, this is a great option. Caribbean, we strongly suggest a water-maker is in your future. For powerboats, for sure an economical long range vessel is required. Many Loopers cruise the Loop and stumble across a favorite destination, and after completing the Loop, return and drop their anchor forever. A fully paid for vessel certainly has it's advantages when it comes to the cost of boat insurance, as you can pick & chose your coverage. Otherwise, your Bank will pick the Insurance for you. FYI - the vast majority and fast growing number of marinas now require ample liability coverage. So even in a fully paid for vessel, you will need good liability coverage for any damage you or your vessel might cause.